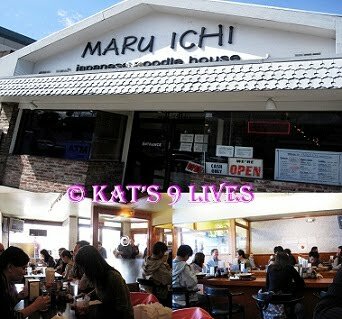 Kat's 9 Lives: Maru Ichi Japanese Noodle House : Nothing Hits The Spot Like Ramen & Toro-don! Maru Ichi Japanese Noodle House : Nothing Hits The Spot Like Ramen & Toro-don! I wish I could always go there just to fill up on Toro-don and maybe an added bonus of their infamous Kuro ramen. For me, it is all about the amount of toro you get for such a great price! They have great lunch sets and everyone knows it. So if you plan on stopping by for a quick lunch, it might be a little tough with the wait. If you come towards the end of lunch hour you won't have to wait as long. Either way, it is worth the wait! Not only will you be full and satisfied, but your wallet will thank you. While you wait for the food you can snack on their homemade Kimchi on the table. My only qualm is that there are times where I have bitten into chunks of salt that scare me because it felt like I might have cracked a tooth on them. 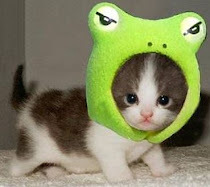 Still, that won't stop me because I will just be extra cautious on the next bite. The word Kuro in Japanese means black. Around 1960 in a little shop on the street corner of Hitoyoshi City, known as Kyushu's Little Kyoto. There they prepare the ramen with browned garlic that was called "Kuro Ma Yu" and later know as "Kuro Ramen". Here at Maru Ichi, they make fresh homemade noodles daily. Each of the ramen includes an Egg, Chashu (Roast Pork), Seaweed, Bean Sprouts, and Green Onions. For the Kuro Ramen they used Browned Garlic and a Pork & Chicken Soup. I love the mixture of black and brown. The Kuro Ramen is definitely different from your every day ramen. If you look closely, you would think the black are oil drops that stay separate from the soup. The soup is very flavorful, aromatic, and rich. I do think the soup is on the heavier side but tasty nonetheless. How you can balance the heavier palate is getting the Toro-don to complement the dish.